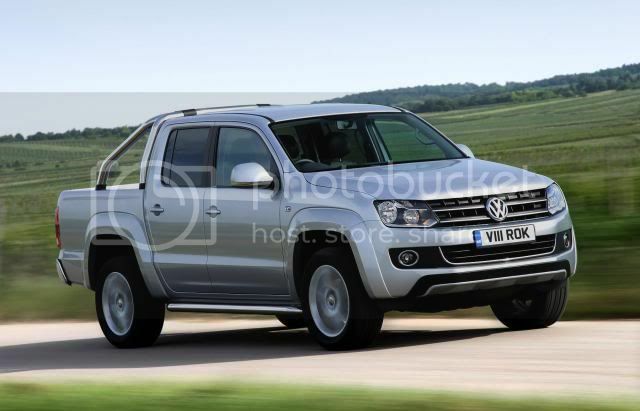 Volkswagen has announced prices on the firm's new large Amarok pick-up truck. The entry-level Startline is priced from £21,333, rising to £26,829 for the range-topping Highline. 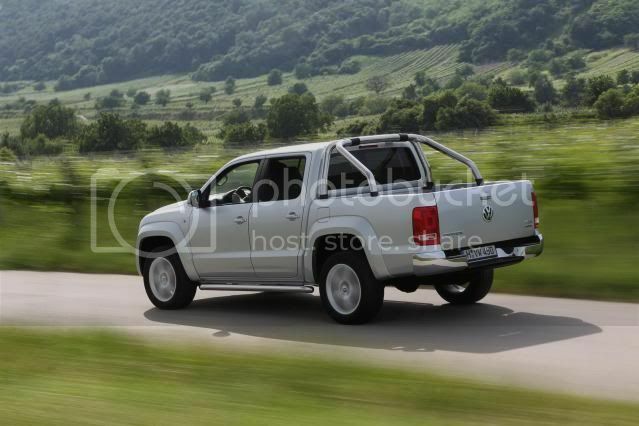 Initially, the Amarok will be available as a double cab, with a single cab due for 2012. 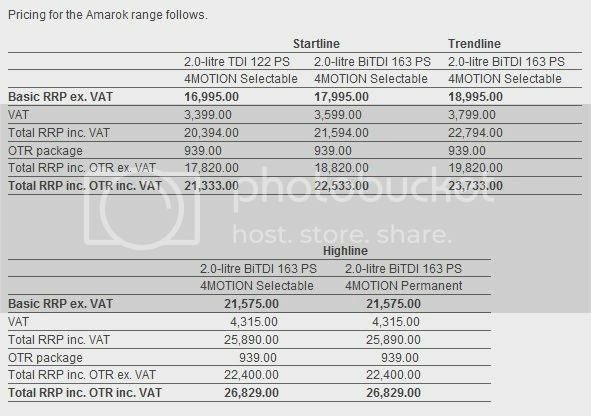 Three trim-levels will be offered; Startline, Trendline, and Highline, in addition to two diesel engines; an entry-level 2.0 TDI with 122bhp (120PS/91kW) and a more powerful 2.0 BiTDI with 163bhp (161PS/122kW). 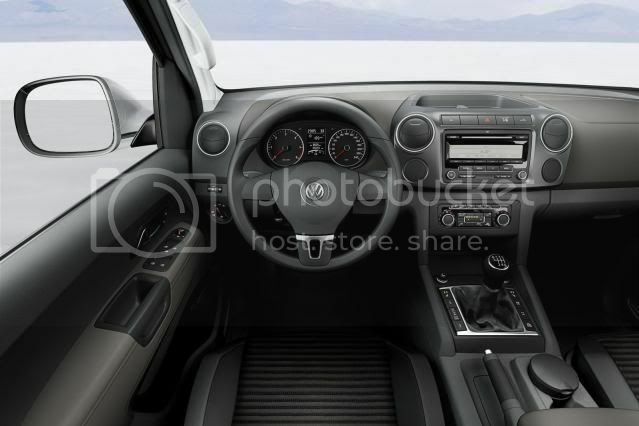 A standard 4MOTION selectable four-wheel drive system offers a choice between rear-wheel drive, four-wheel drive and low range four-wheel drive via a button mounted on the dashboard. All models fitted with this adjustable system have a gross vehicle weight of 3,170kg and more robust suspension which results in a payload of over 1,045kg. Additionally to the 4MOTION Selectable system, the Highline model is also available with the option of permanent 4MOTION. This permanent four-wheel drive system reduces payload to below 1,045kg but, thanks to comfort suspension which uses a two plus one leaf spring system, offers a more car-like driving experience with improved ride and refinement. Base Startline models are equipped with the lower-powered 122bhp 2.0TDI, and 16” alloy wheels, x4 electric windows, air conditioning, CD/radio w/MP3 input, ESP, traction control system (TCS), electronic differential lock (EDL), hill start assist, electrically adjustable/heated door mirrors, hill descent control, trailer stability control, off-road ABS, 4MOTION selectable 4WD, and x6 airbags. Mid-spec Trendline features 17” alloy wheels, body-coloured door mirrors and bumpers, cruise control, climate control, leather steering wheel, gearknob, and handbrake, multi-function trip computer, wheelarch extensions, and front fog laps. The flagship Highline model comes lavished with 18” alloy wheels, chrome highlights on grille, door mirrors, and rear bumper, chrome side-steps, privacy glass, rear parking sensors, and leather interior w/heated front seats. A comprehensive range of optional equipment is offered. These include satellite navigation systems, additional protection for the load bay and underbody components, 19” alloy wheels, surround sound systems, and bi-xenon headlights. 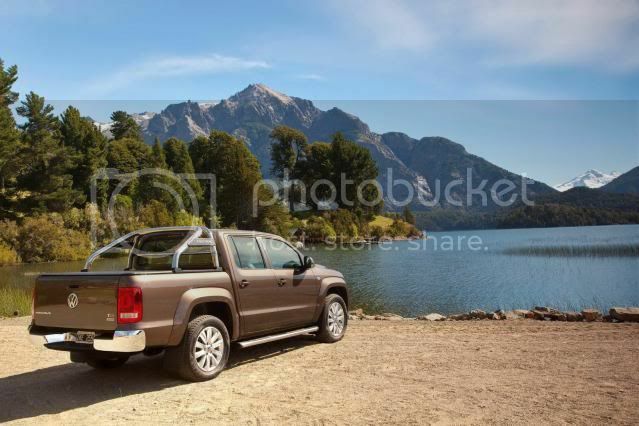 All Amarok's are produced in Buenos Aires, Argentina.